Okay, first step: download SAGE Mobile. Got it? Now we’re ready to roll. 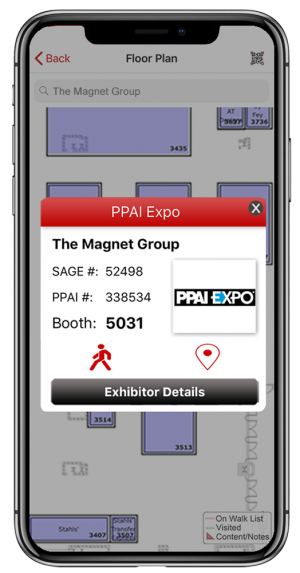 You might know that SAGE Mobile is the official show planner for The PPAI Expo, but do you know why? 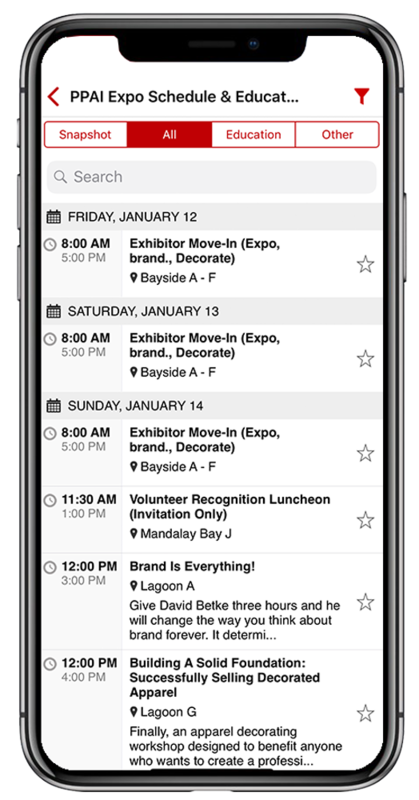 SAGE Mobile includes the most exciting and interactive features of any show planner in the industry, plus it’s free to all Expo attendees! 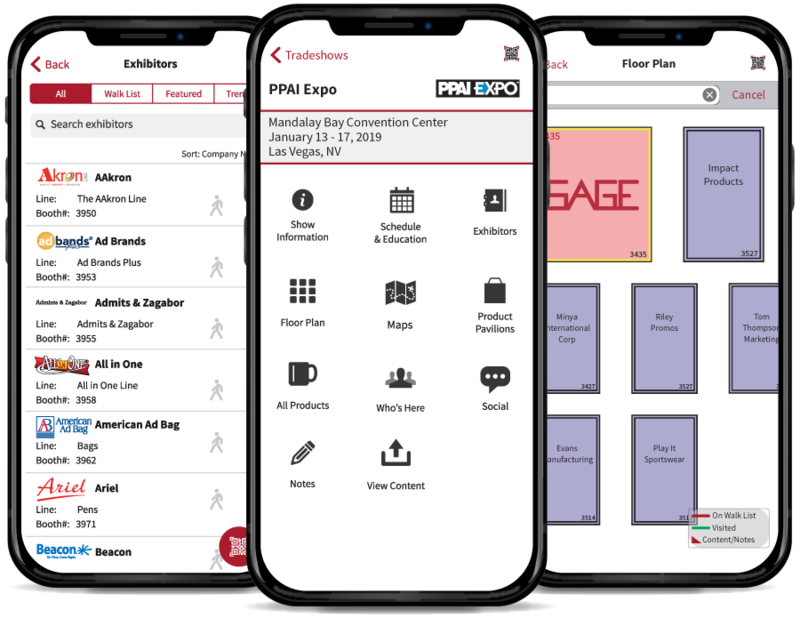 Let’s take a look at some of the awesome things you can do in SAGE Mobile and get you ready for The PPAI Expo and other leading tradeshows. 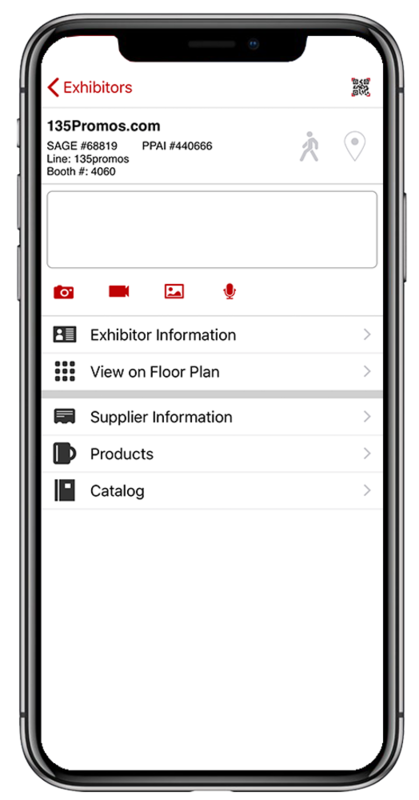 Just select the Tradeshows section in SAGE Mobile from the icon on the top left corner of the app. Select The PPAI Expo, or whichever show you are attending next. Then tap the “Exhibitors” icon. Sometimes the sheer volume of booths at The PPAI Expo and other shows can be overwhelming. This is especially true if you go in blind and don’t really have a plan. This is where SAGE Mobile becomes a lifesaver. Before you even leave your office, you can prep for a productive tradeshow by creating a foolproof walk list! Scroll through to find your favorite suppliers, or search for new ones, and add them to your list by tapping the person icon. This makes it super easy to collect a checklist so that you don’t miss any of your favorites. 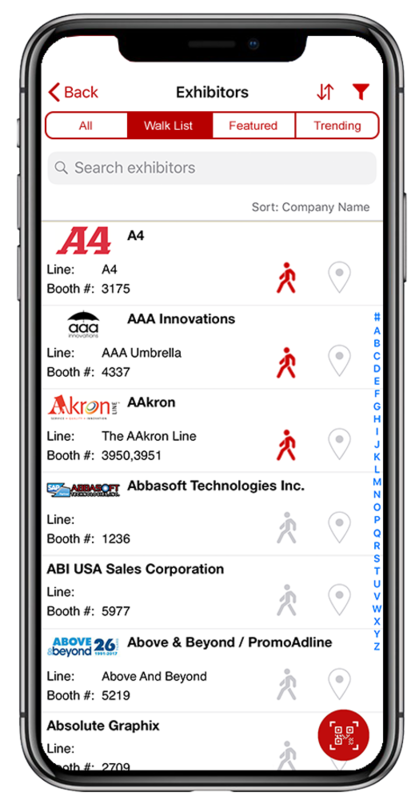 In SAGE Mobile, you can sort your walk list based on the company name, booth number, or even by how you prefer to walk the floor. Do you zig-zag or go up one side and then back down? 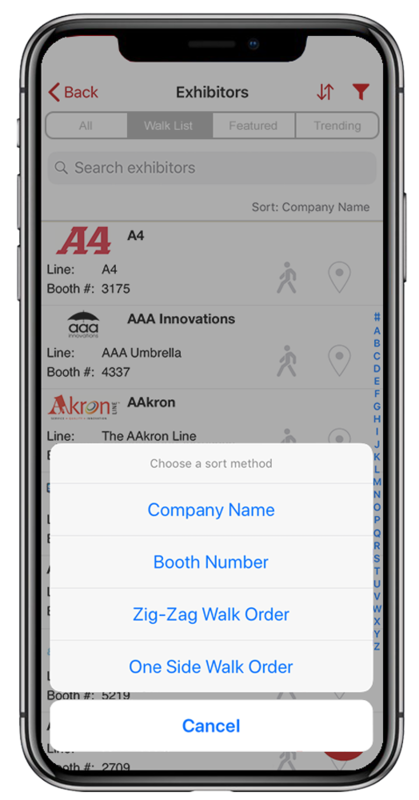 Once you get to the show and visit the booths on your list, you can mark them as visited by tapping the location pin icon in the right column. You can also scan the QR code at each booth and that will mark it in your list automatically. 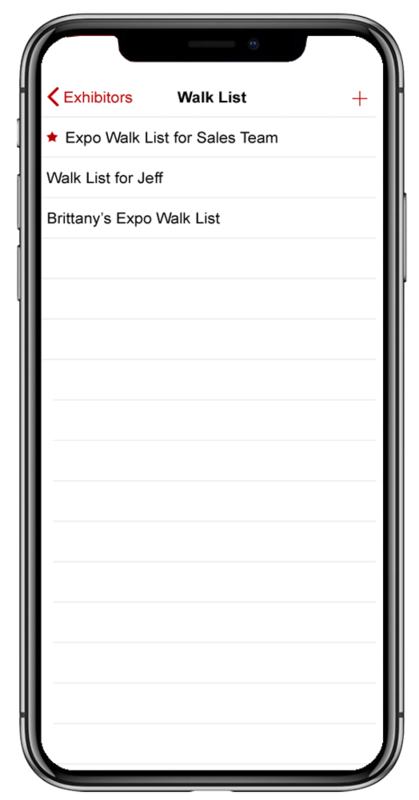 You can also create multiple walk lists for your team and share your progress in real time. This ensures you don’t miss out on anything good when the whole team is involved. You can also view the interactive floor plan to see where the suppliers are located. The SAGE Mobile app makes it easier than ever to map out your journey. On the map, suppliers on your walk list will be indicated in red so you know where you are headed. Once you mark the supplier as visited, the booth will appear green on the floor plan. As you walk through the showroom floor, you will be represented by a blue dot on the interactive show floor. If you want to see where you are, or find your way to the right booth, just find yourself on the map by locating the blue dot. Tap on a supplier on your map to view their exhibitor details. This will allow you to view their offered products. This is another great thing to do before you get to the show. 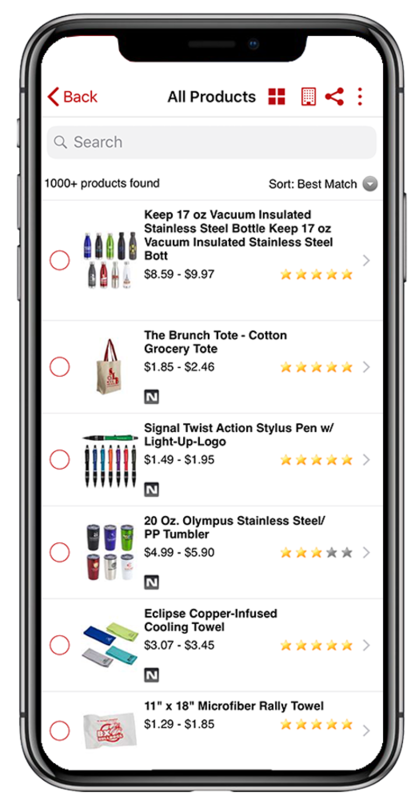 It allows you to add potential suppliers to your walk list based on their awesome products you’ve scoped out beforehand. Quickly find exactly what you’re looking for. With a few taps, you can search products from the exhibitors in attendance, narrowing down your search before you go on an adventure to find it on the show floor. You can take pictures, write notes, and record video and audio of products or suppliers that you meet at the show. At The PPAI Expo, where you’ll meet hundreds of suppliers, a picture can help connect a name with a friendly face. View the Education Schedule in SAGE Mobile to select and schedule which education sessions you plan on attending. You can even take notes on the app within the session and then share them with yourself and teammates. When the time comes for The PPAI Expo, you’ll see the schedule list everything from education sessions to luncheons and networking opportunities. The Discussion Area is a place where promotional products industry professionals can get together and chat about the shows, request products, and connect about future networking opportunities. Through The PPAI Expo discussion group, you can connect with fellow Expo attendees and build a network that doesn’t just stay in Vegas. 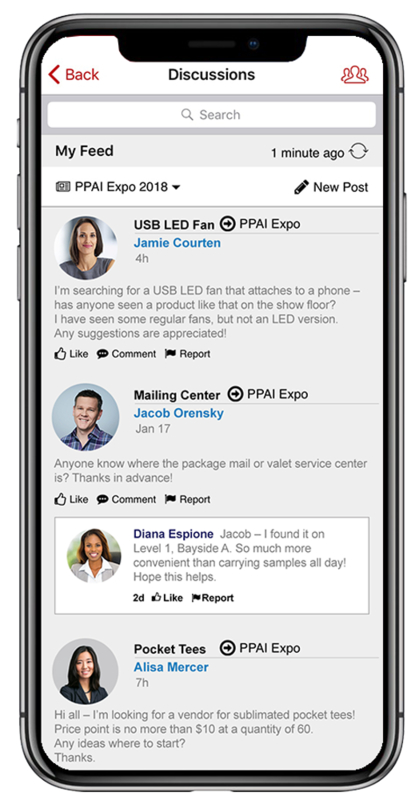 We hope that these tips will make SAGE Mobile your new best friend at your next tradeshow, especially at The PPAI Expo in Vegas in January! What did you think of these tips? 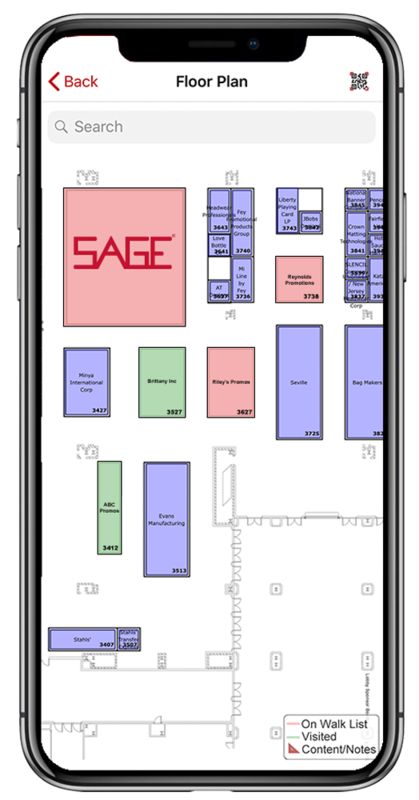 If you want to learn more about how SAGE Mobile gives you the best tradeshow experience, check out our page here for training videos.